We Are Currently Updating Our Website. We Thank You For Your Patience. Securit Private Vaults operates highly secured modern up to date secure private vault facilities that house private vault deposit boxes, private safes, gun safes and large private vault rooms, to store one's valuable possessions, such as jewelry, precious metals, artwork, gun collections, fine wines, and any other collectable important documents. 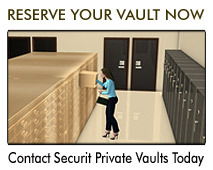 Securit Private Vaults locations are built to serve as a modern day fortress from the ground floor up. All private vault deposit boxes are located behind foot thick walls of steel reinforced concrete and two man trap secured state of the art vault doors. 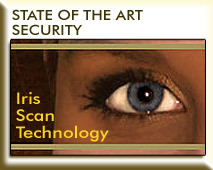 Securit Private Vaults uses the latest Iris Recognition Technology to offer the ultimate protection to your private vault deposit boxes. In case of fire or loss of electric power, all vaults are equipped with Halon fire safety equipment and back up generators. Securit Private Vaults, Inc. locations are protected by sophisticated, multi-tiered security systems and monitored by highly trained professionals 24 hours a day, 7 days a week, 365 days a year. Securit Private Vaults is not like a bank. 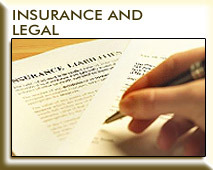 Banks are required to accept any and all legal processors. With a court order and a phone call, an attorney can lock up a safe deposit box at any bank without any notification to the safe deposit box holder. Securit Private Vaults accounts can only be accessed by those designated and identified by the private vault deposit box holder. This advantage alone will save countless hours of frustration and provides "Ultimate Protection and Peace of Mind". 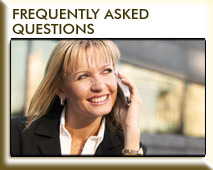 Securit Private Vaults does not rent private vault deposit boxes by name nor do we ask for your identification, social security number, or employment information. Your private vault deposit box, private safes, gun safes and private vault rooms can only be opened with the ONLY set of keys given to you at the time of registration. No one can access your private vault deposit box with out you. 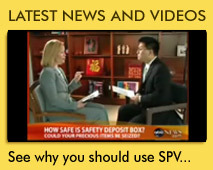 Why Use Securit Private Vaults, Inc.?? With the growing trend of invasions and burglaries of households and businesses on the rise, along with budget cuts of state and local police force funding, safety and security measures such as dead bolts, alarms, domestic safes, and business safes, only provide you with a very limited sense of security and protection. On top of the above concerns of protection and security of valuables are natural disasters such as hurricanes, fires and floods, these events can cause extensive damage or destroy your valuables stored in your home. This same principle applies at your work place, where fire could destroy irreplaceable valuables, documentation and electronic data. By storing your valuables in hurricane and fire protected secured private vaults that are guarded 24 hours a day, 7 days a week, 365 days a year, Securit Private Vaults is here to help alleviate these concerns of safety for you. CALL 954-288-9086 TO RESERVE YOUR VAULT NOW!! 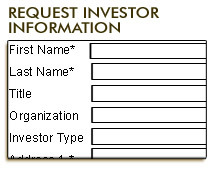 © 2010 SECURIT PRIVATE VAULTS, INC. All rights reserved. Terms and Conditions. Reproduction in whole or in part without permission is prohibited.